Drive away a brand new Abarth 595 Custom for a low deposit and low monthly payment at Sturgess of Leicester! 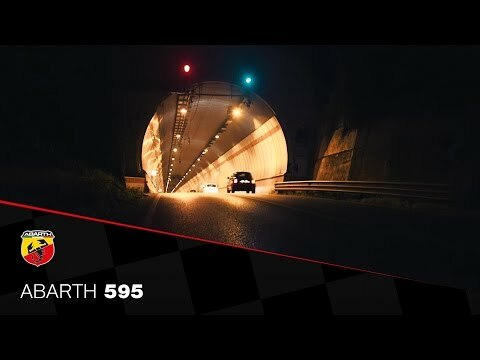 The Abarth 595 Custom combines the thrills of the track with the practicality of the road. The Abarth 595 Custom has a powerful 145hp 1.4-litre Turbo T-Jet engine, offering 206Nm of torque at 3000rpm. It takes just 7.9 seconds to accelerate to 62mph and has a top speed of 127 mph! Its Dualdrive electric power steering allows the driver to turn into Sport mode, for a more sporty and responsive feel. Other standard features include sports seats with cloth trim, satin steer rear exhaust trim, Blue&Me connectivity and an instrument panel with 7-inch digital display, allowing the driver to monitor all aspects of the car including fuel consumption, headlight alignment and acceleration times. It's still a practical everyday car, returning up to 43.45 MPG fuel economy on the official Combined Cycle and with low CO2 emissions of 155 g/km. Find out more at our Abarth dealership in Aylestone Road, Leicester. Fuel Consumption: Official fuel consumption figures for Abarth range mpg (l/100km): Combined 45.6 (6.2) – 48.7 (5.8), Urban 34.4 (8.2) – 37.2 (7.6), Extra urban 55.4 (5.1) – 60.1 (4.7), Emissions: 145 – 134 g/km. Fuel consumption and CO2 figures are obtained for comparative purposes in accordance with EC directives/regulations and may not be representative of real-life driving conditions. Factors such as driving style, weather and road conditions may also have a significant effect on fuel consumption. Abarth UK is a trading style of Fiat Chrysler Automobiles UK Ltd.
Finance Terms & Conditions: Abarth Deposit Contribution only available in conjunction with Abarth i-Deal PCP. With Abarth i-Deal PCP you may return the vehicle instead of making the final payment. It must be in good condition and if you exceed the agreed annual mileage, you will be charged 6p per mile for exceeding 6,000 miles p.a in this example. Subject to status. Guarantees may be required. Terms & Conditions apply. At participating Dealers only. Abarth Financial Services, SL1 0RW. We may receive a commission from Fiat Financial Services for the introduction. All vehicle images are for illustration purposes only and may include options or body paint colours which incur an additional cost. Sturgess Fiat is acting as a credit broker and not a lender. Sturgess Abarth is a trading style of Walter E Sturgess & Sons Ltd.
E & OE: Information Whilst every care has been taken to get the best data available, it is not possible to warrant that all the information provided is 100% accurate. Most of the figures are based on information supplied by the vehicle manufacturer, and we shall not be liable for any loss or damage arising out of or in connection with the use of this information or any other information supplied on the site. Fuel consumption figures are based on combined figures published by the manufacturer. Cost calculations may also be subject to occasional human error or incomplete computer processing. Please contact us if you spot something odd, or would like more explanation.